Instructions: Please write last name and thread color. 🌻 START THE ROAD TO YOUR VOWS WITH A WOW! 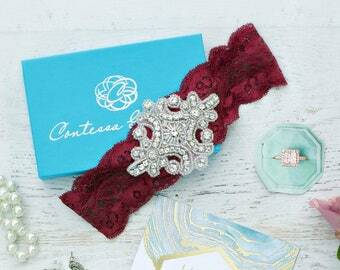 – We take pride in creating a collection of finely crafted lace bridal garters. 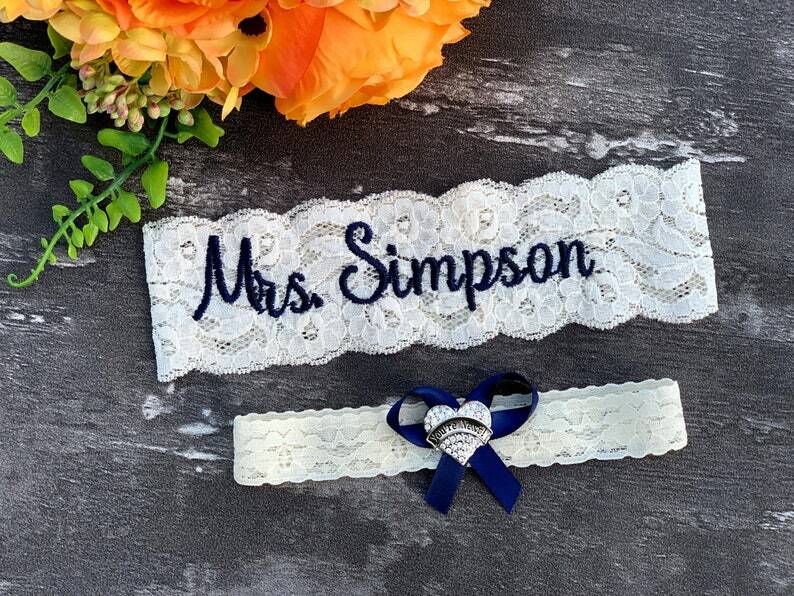 Our personalized garter set is made with soft stretch non-slip silicon lining lace. Keepsake garter has a center charm with the words "You're next". 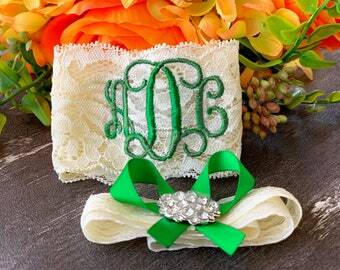 You have the option to purchase the garter as a set, or just the keepsake garter. Fast, quick shipping, and exactly what I ordered! I love them, can't wait to wear them on my big day! Garter turned out exactly the way I wanted it to. I was in between two sizes and went down like it said to and it fit perfectly. Can't wait to wear it on my wedding day! Fast shipping!! LOVE LOVE LOVE IT!